Who invented the Electric Chair? The name of the person credited with inventing the Electric Chair is Alfred P. Southwick (1826 - 1898). Alfred P. Southwick is not only famous as the American inventor of the Electric Chair but also as a Steam Boat engineer. When was the Electric Chair invented? Alfred P. Southwick invented the Electric Chair in 1881, during the Second US Industrial Revolution / Victorian period of invention (1850 - 1914). Definition of the Electric Chair: The Electric Chair is defined as an instrument of execution by electrocution resembling a chair, mostly used in the United States as the death penalty. This execution method involved the person being strapped to the chair and electrocuted through electrodes placed on their body. Fact 1: Who invented the Electric Chair? The Electric Chair was invented by Alfred P. Southwick in 1881 during the Second US Industrial Revolution era of inventions (1850 - 1914). Fact 2: Who invented the Electric Chair? In 1879 Thomas Edison (1847 - 1931) had built electric powered generating stations to power Electricity direct current (DC). The lives of people had changed significantly due to the ability to harness electricity and this new source of power was viewed an amazing advancement in technology. Fact 3: Who invented the Electric Chair? The use of electricity was so new that safety regulations were not in place to prevent accidents. And a fatal accident due to electrocution led to the invention of the electric chair. Fact 4: Who invented the Electric Chair? The fatal accident involved a drunken elderly man named George Smith who staggered towards a live generator in Buffalo, New York and touched an exposed terminal which resulted in instant death. The fatal accident was witnessed by a dentist and former steamboat engineer named Alfred P. Southwick who believed that the use of electricity would be a civilised alternative to execution by hanging. Fact 5: Who invented the Electric Chair? Prior to the invention of the Electric Chair in 1881, most American executions were by hanging. The administration of the death penalty was usually undertaken by county sheriffs and in their inexperienced hands many prisoners died a slow death by strangulation. Fact 6: Who invented the Electric Chair? Some prisoners even died by decapitation if the drop was too long. The drop was calculated by the hangman after considering the prisoner’s weight, age, and physical condition. Fact 7: Who invented the Electric Chair? Alfred P. Southwick discussed the idea with Dr. George Fell and they made some preliminary tests of electrocution on stray cats and dogs. Dr. Fell passed the results of a quick and painless death by electrocution to his friend Senator Daniel H. McMillan (1838 - 1902) of Buffalo, New York. Fact 8: Who invented the Electric Chair? The State Governor of New York David B Hill (1843 - 1910), horrified by reports of gruesome deaths by hanging due to miscalculations, had been prompted to look for a less barbaric and more acceptable form of execution. 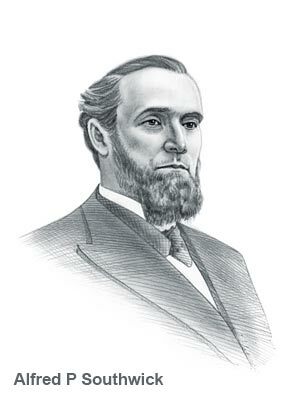 Senator McMillan passed Alfred P. Southwick's proposal to Governor David B Hill who took immediate action. Fact 9: Who invented the Electric Chair? In 1886 David B Hill established a legislative committee in 1886 to investigate the use of electricity and electrocution as an alternative means of providing a form of humane capital punishment. He appointed a three man committee consisting of a Elbridge T. Gerry, a human rights advocate, Matthew Hale, a lawyer and politician and Alfred P. Southwick the dentist. Fact 10: Who invented the Electric Chair? The legislature enacted Chapter 352 of the Laws of 1886, entitled "An act to authorize the appointment of a commission to investigate and report to the legislature the most humane and approved method of carrying into effect the sentence of death in capital cases". Fact 11: Who invented the Electric Chair? Not surprisingly, the legislative committee recommended in their 1888 report that electrocution and the Electric Chair should be adopted as a substitute to replace hanging in New York State. Fact 12: Who invented the Electric Chair? The 1888 report dismissed every method of execution then in practice in favor of electrocution in the Electric Chair and stated that "All that would be essential would be a chair, with a head and a foot-rest, in which the condemned could be seated in a semi-reclining position; one electrode would be connected with the head-rest, and the other with the foot-rest". Fact 13: Who invented the Electric Chair? The recommendations of the committee were signed into law on June 5, 1888 and the new form of execution would take effect from January 1, 1889. Fact 14: Who invented the Electric Chair? The Dentist Alfred P. Southwick modified the design of the dental chair as a way to restrain the condemned, which he referred to as the 'electric chair'. Fact 15: Who invented the Electric Chair? An electrician named Harold Brown was commissioned to build three electric chairs, one for each of the prisons, Auburn, Sing Sing and Clinton, in New York state where executions were to take place. Fact 16: Who invented the Electric Chair? The inventor of the Electric Chair, Alfred P. Southwick, was born on May 18, 1826 in Ashtabula, Ohio, United States and died on 11 June 1898. Fact 17: Who invented the Electric Chair? The early years of Alfred P. Southwick were spent in Ashtabula, Ohio, United States where he was raised by his family. He received a good education and trained to become a dentist. Fact 18: Who invented the Electric Chair? Alfred P. Southwick went on to become a professor at the University of Buffalo school of dental medicine in New York . Fact 19: Who invented the Electric Chair? Alfred P. Southwick conceived his idea for the invention of the Electric Chair in 1881 when he witnessed the accidental death of George Smith by electrocution. Fact 20: Who invented the Electric Chair? William Kemmler became the first person ever executed by electrocution in the Electric Chair, witnessed by eminent doctors and members of the press and Alfred P. Southwick in New York's Auburn Prison on August 6, 1890. Fact 21: Who invented the Electric Chair? Edwin F. Davis (May 28, 1846 – May 26, 1923), of Steuben County, New York was appointed the first "state electrician" (executioner) for the State of New York. Fact 22: Who invented the Electric Chair? The execution of William Kemmler in the Electric Chair began as planned as he was strapped to the seat and given 1000 volts and the attending doctor announced him dead. However, one of the witnesses noticed that Kemmler was still breathing and the orders were given to give him another burst of electricity. The second jolt caused his blood vessels to burst and bleed and the smell of burning flesh surrounded the victim in the Electric Chair. Fact 23: Who invented the Electric Chair? Despite the botched execution in the Electric Chair Alfred P. Southwick is reported to have said "There is the culmination of ten years work and study! We live in a higher civilization from this day". Fact 24: Who invented the Electric Chair? Alfred P. Southwick returned to his work as a dentist and died on 11 June 1898 and was interred at the Forest Lawn Cemetery, in Buffalo, New York. Fact 25: Who invented the Electric Chair? Edwin F. Davis the state executioner finalized many features of the first electric chair in 1890 and received U.S. Patent No. 587,649, for his "Electrocution-Chair", on August 3, 1897. Edwin F. Davis performed 240 executions between 1890 and 1914. He died on May 26, 1923 and was buried in Barnard Cemetery in Corning, New York. Fact 26: Who invented the Electric Chair? The use of the electric chair has declined as execution by Lethal injection became the most widely used method of execution in the United States. The last use of the electric chair was on January 16, 2013, in Virginia, when Robert Gleason, Jr. decided to go to the electric chair rather than having a lethal injection.